We specialise in the promotion and protection of forests for the role they play in reducing greenhouse gas emissions and addressing the threat of climate change. In addition to removing carbon dioxide from the earth's atmosphere forests deliver a range of other important environmental benefits such as controlling soil erosion, improving water quality, and enhancing biodiversity. 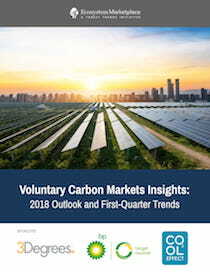 Over the last decade markets have emerged which place value on these ecosystem services with carbon being the main environmental commodity.